A car bomb kills 11 people and injures 10 others in an attack on a mall in Mogadishu, Somalia. 2018-03-25 A car bomb claimed by Al-Shabab kills five people including the driver and wounds around ten others outside Somalia's Parliament, Interior Ministry, and Presidential Palace buildings in Mogadishu. 2018-02-24 Two car bombings near the presidential palace in Mogadishu, Somalia, kill at least 38 people. Al-Shabaab claim responsibility for the attacks. 2015-09-21 A car bomb in Somalia kills at least six people at the gates of the presidential palace in Mogadishu. 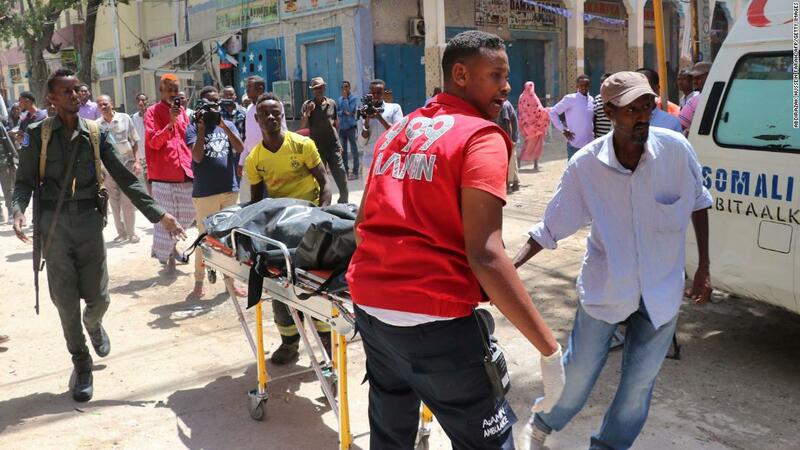 2019-03-23 In Mogadishu, Somalia, at least five militants set off a car bomb and raid a government building, killing at least five people. Al-Shabaab claim responsibility for the attack. 2018-03-28 A car bomb near an International Committee of the Red Cross office wounds three people in Mogadishu, Somalia.